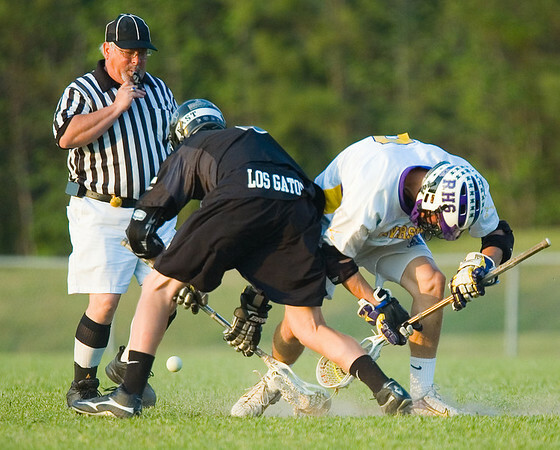 Officials have a significant impact on the development of youth lacrosse players and teaching kids life lessons. Officiating is a challenging and rewarding experience. No previous lacrosse experience is necessary because, let's face it, lacrosse is new to the area and there aren't many who have played before! Don't worry, you'll receive quality training and education to help you learn and enforce the rules of lacrosse for kids of all ages. To become an official with South Dakota Lacrosse, there are some requirements that must be met to ensure the safety of the kids you'll be supervising and to get you up to speed on the job. We appreciate your commitment to the kids of this exciting sport! Coaches will also be asked to officiate games to better learn the rules and gain a higher respect for those who blow the whistle during game. This may seem like a lot to do but it can be done in manageable steps and we'll be there every step of the way to help out! If you are interested in officiating, please register as an official!